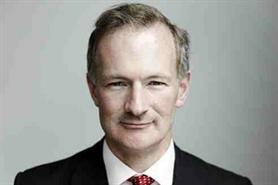 Tourism and heritage minister John Penrose MP has left his role, prompting All-Party Parliamentary Group for Events chairman Nick de Bois MP to fear a "vacuum" in the government's event industry representation. The Conservative MP for Weston-super-Mare has championed event initiatives including Britain for Events, and appeared at this year's Confex. His departure came after Prime Minister David Cameron decided to reduce the size of the Culture, Media & Sports Department (DCMS) now that the Olympics are over. De Bois said: "It is not looking good. I hope when the dust settles on this (Cabinet) reshuffle there is no vacuum in the government for the events industry. I will be working hard to make sure this vacuum does not exist." He added that, if the role is redistributed within the DCMS, then it is likely that business tourism would suffer. "I'm not convinced a redistribution is the right thing to do," he added. Meanwhile, Business Visits and Events Partnership chairman Michael Hirst, who is Britain for Events' campaign co-ordinator, said that there is cause for optimism. "It is important to think positively. The appointment of Locog chief executive Paul Deighton as minister for economic development was an exciting development for the business events industry," he added. Penrose, who recently voiced his support for the Institute of Event Management, said: "I’m very proud of the work I did as part the DCMS team, boosting the tourism industry, cutting red tape and helping with a highly successful Olympic Games as well. The good news is, now I’ll be able to fight even harder for our area. I’m looking forward to it hugely." De Bois added it was essential for the events industry to form an "effective communication link with industry". "We have a very powerful story to tell about the contribution to GDP and the growth agenda, particularly for SMEs," said De Bois. "The government is not likely to be dishing out financial support, but we want a recognition and understanding of what this industry does for the British economy." De Bois was speaking at a meeting of the All-Party Parliamentary Group for Events on 5 September at the House of Commons. He told the group, which included MPs, as well as representatives from event agencies and bodies including Visit England, London & Partners, and ISES UK, he now intends to continue his term of office for another year. Meanwhile, Eventia chairman Simon Hughes said the changes at DCMS, with Maria Miller taking over from former secretary of state Jeremy Hunt were "an unknown quantity". "What is known is that she now has two roles to fulfil and a plan to reduce the DCMS by 50%. The announcement that John Penrose is stepping down as tourism minister because of his worries over the lack of resources only serves to underline this problem," added Hughes. "John Penrose proved to be a strong advocate for tourism, but it appears now that the Olympic legacy priorities for a much reduced department will be sport and culture related. Our industry needs to find a better home now when it comes to engaging the government with the economic growth potential that we represent on behalf of our members."